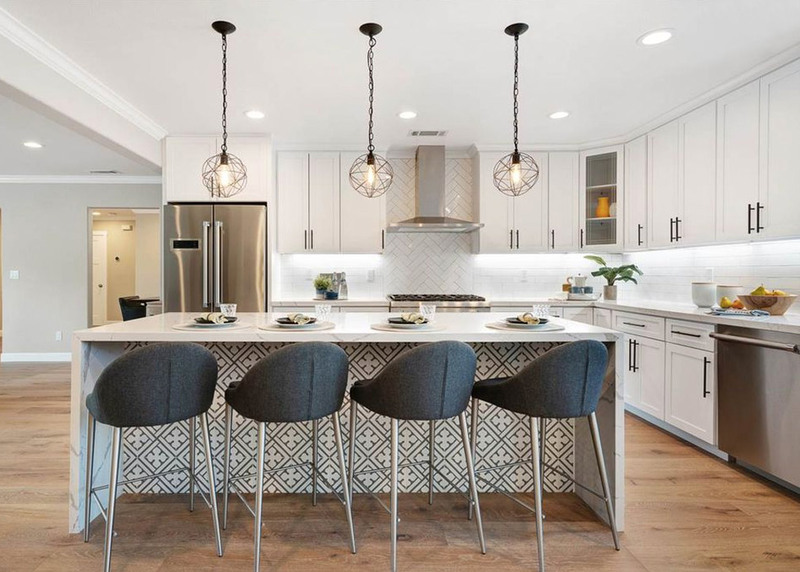 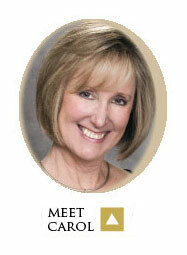 First Impressions is led by Carol Christenson, an award winning interior designer in the east bay, whom offers full service kitchen and bath design solutions. 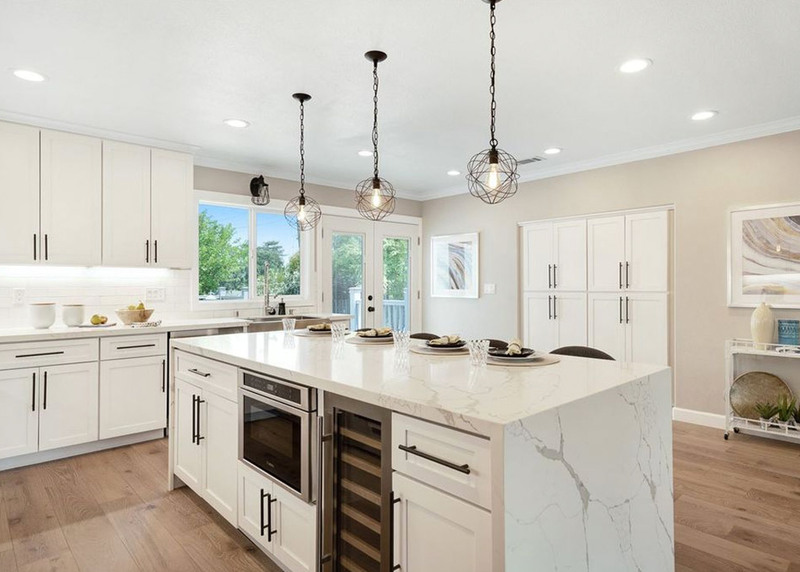 She has handled hundreds of kitchen and bath design renovations throughout the Contra Costa area including: Walnut Creek, Danville, Lafayette, Alamo & Ruby Hill. 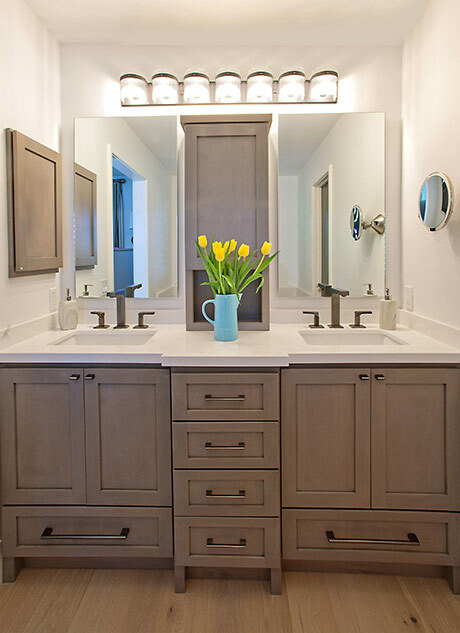 Regardless of the room style, she can transform your kitchen to meet your family’s needs or even turn a master bathroom into a luxurious retreat. 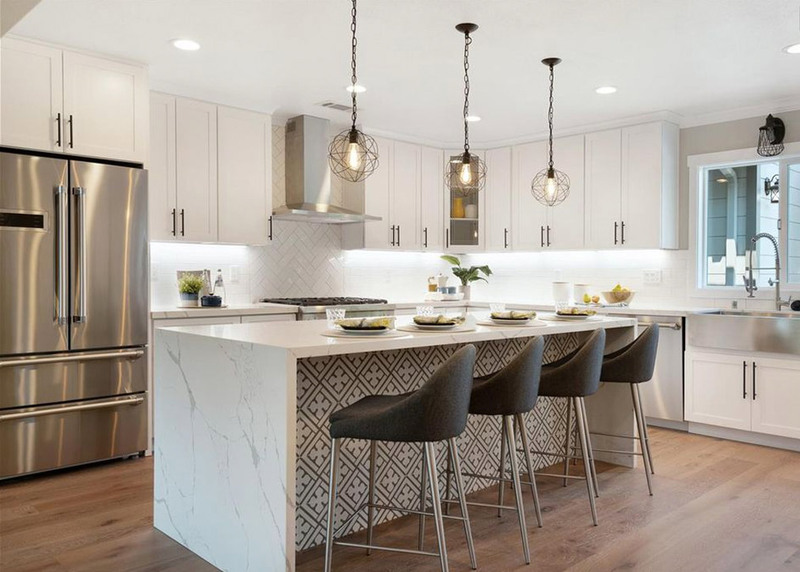 Her Walnut Creek showroom is adjoined with Distinctive Cabinetry, one of the premier kitchen and bath cabinet suppliers in the bay area. 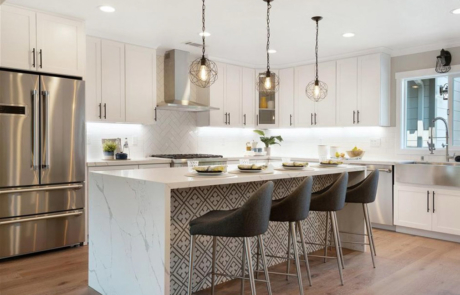 This relationship is a huge benefit to her clients, because browsing through material samples including: cabinets, countertops, backsplash tile, sink fixtures, and vanities are just a few steps away. 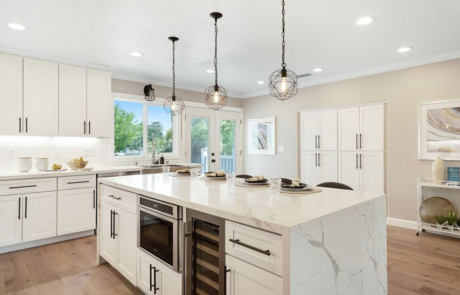 If you’re looking for a stress-free kitchen remodel, bathroom remodel, home renovation or room addition, she would love the opportunity to bid on your project. 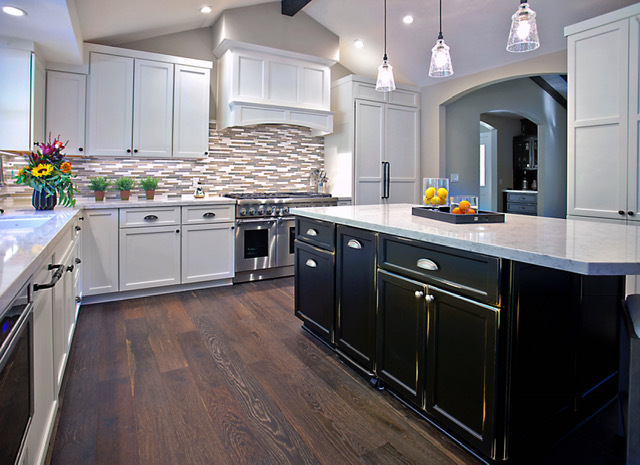 For a large percentage of the population, the kitchen is the busiest room in the home. 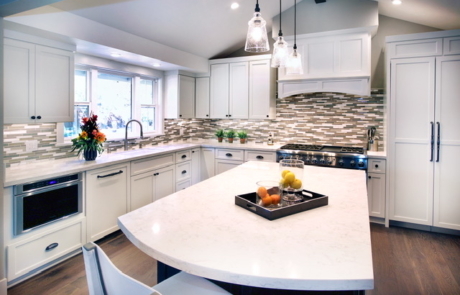 There's no doubt that kitchen design is one of the first rooms home-owners want to remodel. 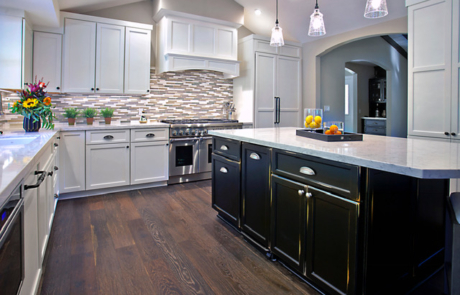 While you want a kitchen design that reflects your taste, it's also important the remodel has a seamless flow of traffic through the room. 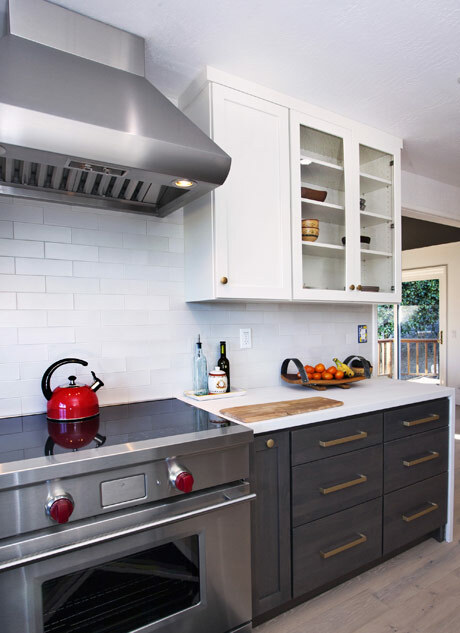 Most kitchen remodeling projects begin because the client needs more space, functionality and storage. 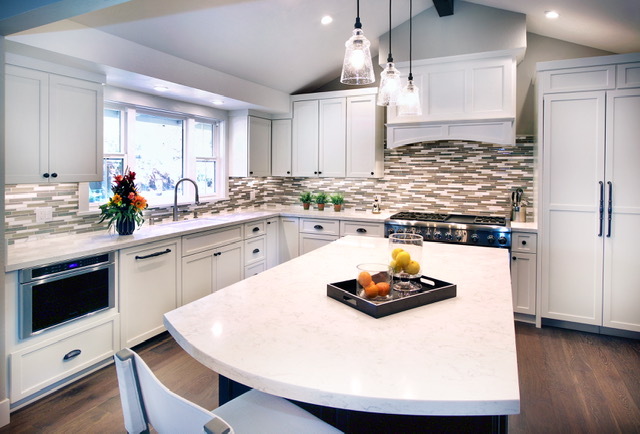 Whether you want to create an open kitchen design or reconfigure the room to accommodate entertaining or homework stations, First Impressions Interior Design has experience in all styles of kitchen designs: traditional kitchens, transitional kitchens and modern kitchen designs. 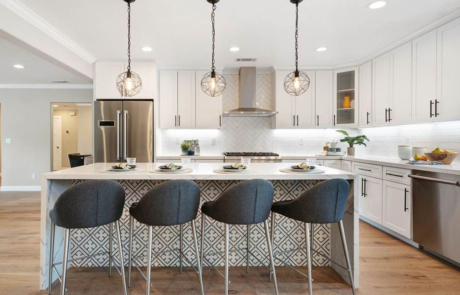 If you own a home in the bay area, you know space comes at a premium. 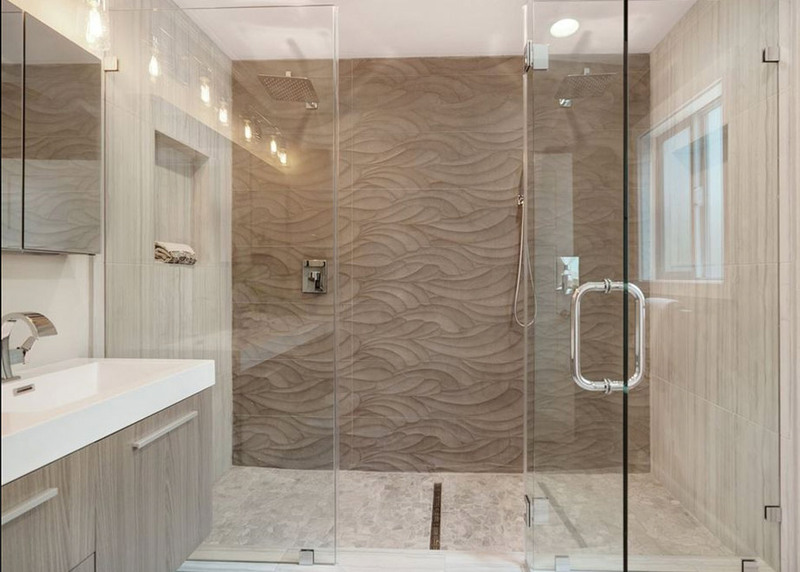 Especially bathroom space. Many of our clients remodel their bathrooms because of leaking tubs, outdated fixtures or lack of functionality and counter space. 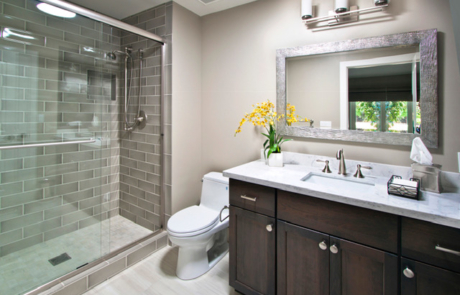 A bathroom remodel can range from a simple update to creating a luxurious spa bath with whirlpool tubs. 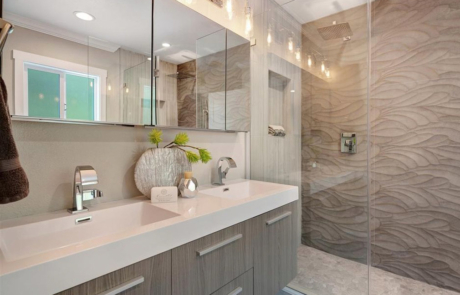 Homeowners throughout Walnut Creek, Danville, Lafayette & Ruby Hill realize that a bathroom remodel not only increases the value of their home value, but let's them transform the room into a more functional and comfortable space. 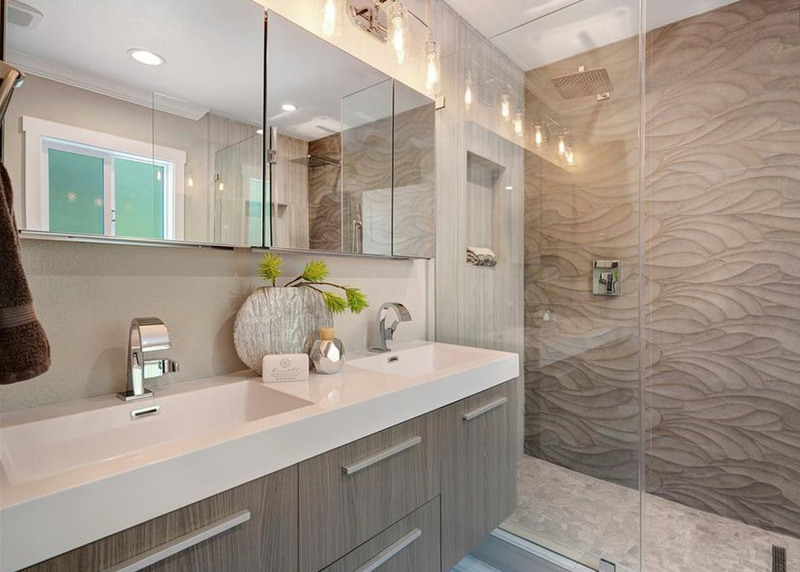 The bathroom design specialists with First Impressions help you every step of the way. 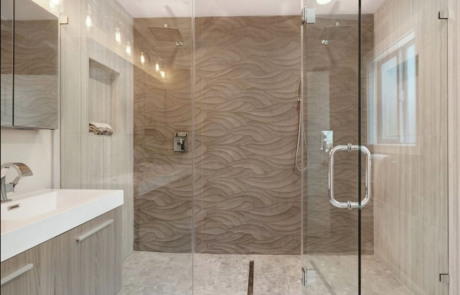 As design build bathroom remodelers, they listen to your goals and point out areas you may not have even considered.